Sweaty Betties Workout #8 is posted! Make sure you subscribe to The Sweaty Betties Youtube Channel as I will have videos out every Tuesday and Thursday. 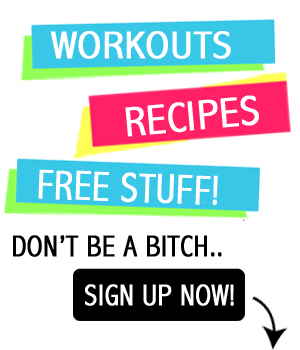 Tuesdays will be for workouts and Thursdays will be to answer your fitness/diet questions as well as a few *bonus* workouts! Done! I can’t say I loved it (ugh the burpees) but it made me nice and sweaty! My hamstrings will be sore tomorrow. WHOA. I seriously thought I had put too many rounds on my timer…. no such luck. lol Awesome work out! I did this after my back work out and it was a good at home work out. Super hard because you don’t really have that kind of momentum you HOPE for to make the moves easy, good choice. I am dripping in sweat. Loved it! Two of my favorite exercises put into one quick workout! 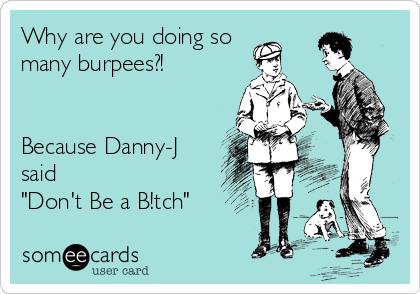 I used the 30lbKB and did full on Burpees (nose to the ground…well, actually to the towel on the ground in my garage I challenged myself to be get the burpees done in 15sec then the KB Swings in 25 leaving 20sec rest each time! Rocked it, thanks for the challenge! WOW! Elizabeth you freakin’ rock!! I wish I had 20 sec rest! hahaha and I really wish I did have a heavier KB.. I”ll have to go get one.. way to KILL that workout~! I remember doing this one! I think I cursed through most of it! lol…..
I’ve been looking for a quick workout to squeeze in on a busy day. This is great! Omfg. I did this after a HIIT treadmill workout and lasted 5 cycles. Love it. Can’t wait to try again when I’m not already dead.